Download the contents of a torrent the same way you would any other file. OneClick offers a browser torrent downloading experience that mimics normal downloads. No need for a torrent client to manage your downloads, just download, open and enjoy. 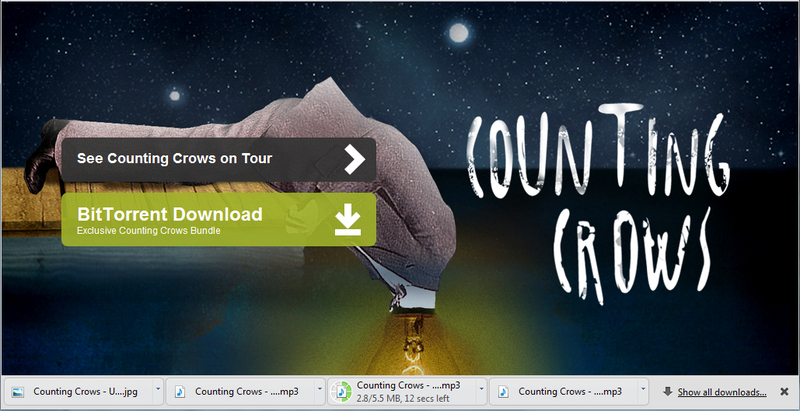 Once you've installed OneClick, downloading BitTorrent's Counting Crows torrent results in normal mp3 downloads!